You’ll get no drama from the llama, because it’s no probllama. 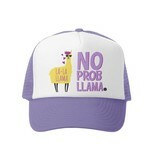 This fun design features a yellow la-la llama with black sunglasses and hot pink hair standing next to the words NO PROB LLAMA written in lavender purple with a hot pink shadow. 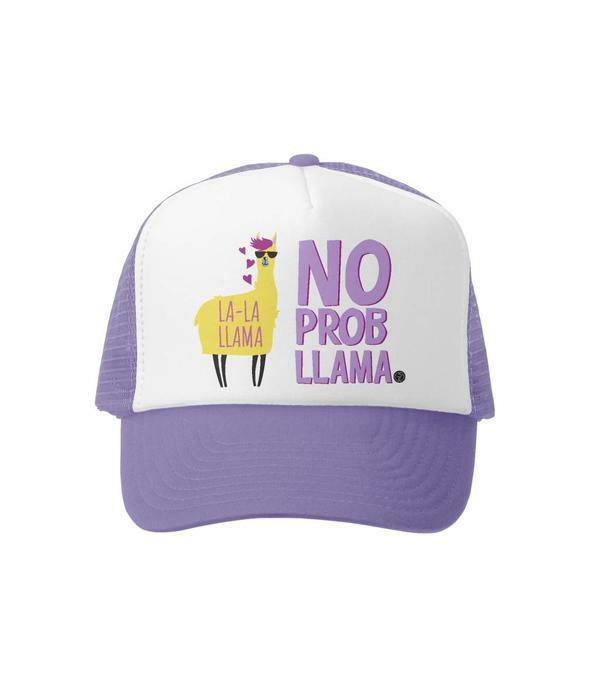 The llama has three hot pink hearts, because a llama with no problems has lots of love to share.